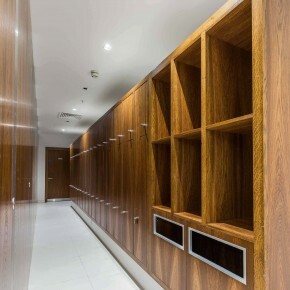 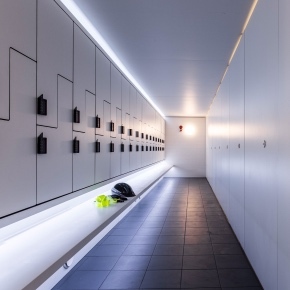 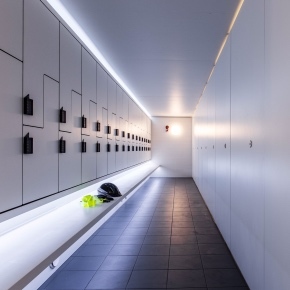 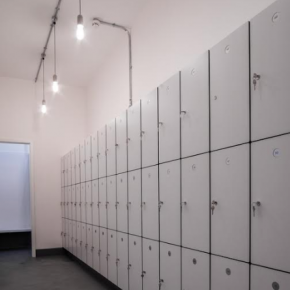 Together with its bespoke joinery service Washroom is able to meet the requirements of architects and specifiers in markets including commercial, leisure, retail, healthcare and education, delivering projects on time and within budget. 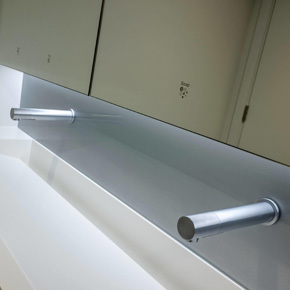 Its Iconica Collection, which has been developed for the high specification commercial market, provides a flexible range of products and finishes incorporating more unusual materials including glass walls and doors, acrylic cubicles, glass lockers, deep gloss lacquered doors and painted glass as well as anodised aluminium ducting. 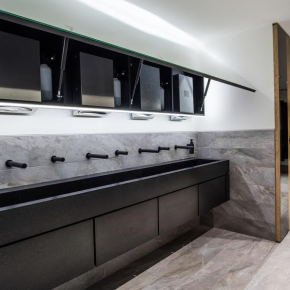 Washroom’s designers pay close attention to the selection and integration of materials while its manufacturing team makes sure the ranges meet stringent client requirements. 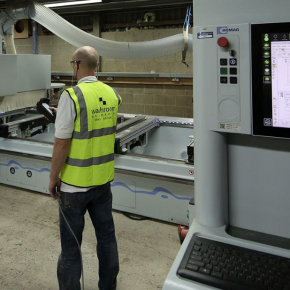 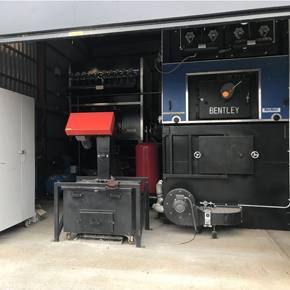 Full site surveys ensure every detail translates from design to installation and each project is allocated a dedicated project manager and experienced installation team for efficient installation. 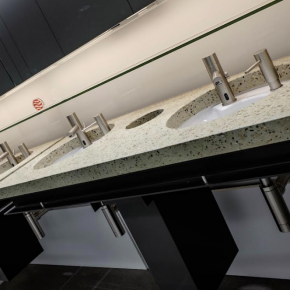 With many of its products available as BIM objects, the option to provide full-scale mock-ups of trial areas and off-site manufacture available, Washroom ensures any design concept can be easily realised. 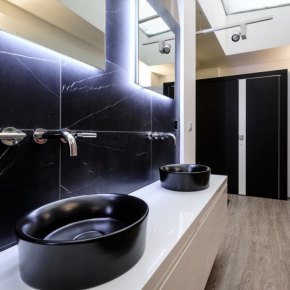 Washroom is committed to protecting the environment and constantly reviews its suppliers, products and processes in order to minimize environmental pollution, and waste. 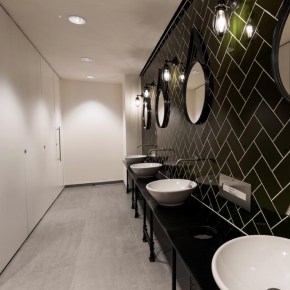 Washroom Washroom has recently completed two office refurbishment projects for two separate but adjoining buildings in London’s Bloomsbury district. 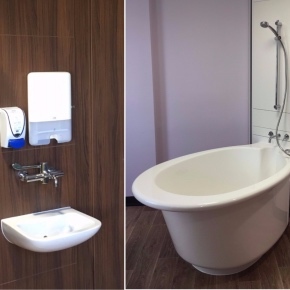 Washroom Washroom was recently chosen to install new washrooms and showers at International House on London’s dockside as part of a complete refurbishment of the building. 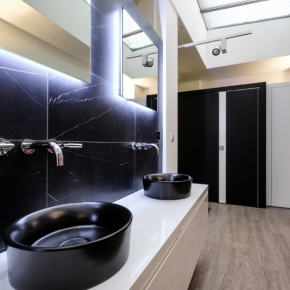 Washroom Washroom has expanded its product range, opening up more possibilities for creative washroom and changing areas. 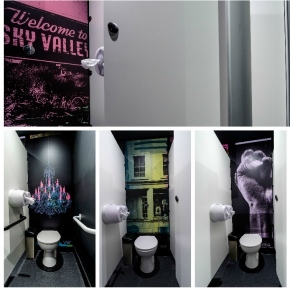 Washroom Washroom has launched Washroom Refresh, a new washroom refurbishment service which draws on hundreds of unique architectural films to refresh existing facilities. 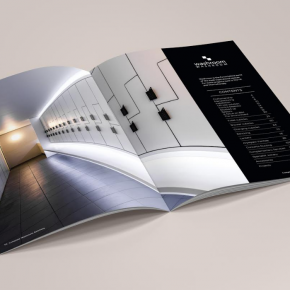 Washroom Washroom’s new fully updated, commercial brochure can now be downloaded via PDF, as well as in print. 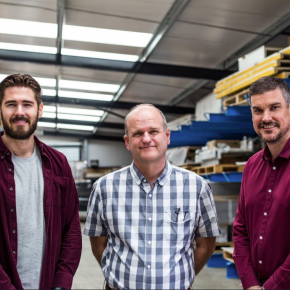 Washroom Washroom has recently appointed three new directors, who are joining the leadership team with immediate effect. 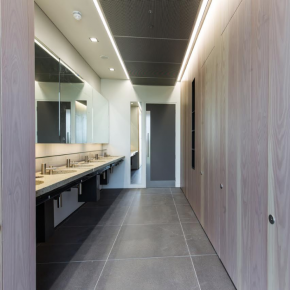 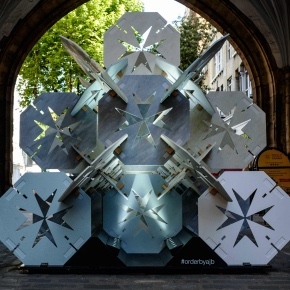 Washroom Washroom is offering visitors to the Clerkenwell Design Week event this week the opportunity to take a look at its new London showroom. 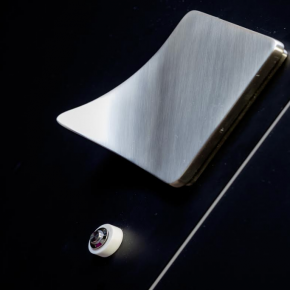 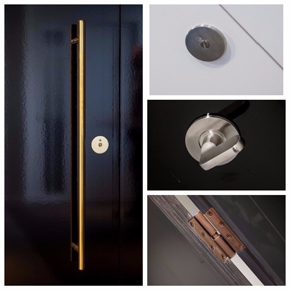 Washroom Washroom’s washroom accessories collection now features smartLOK, an innovative new cubicle lock which can be seen at the new Saneux showroom in Clerkenwell. 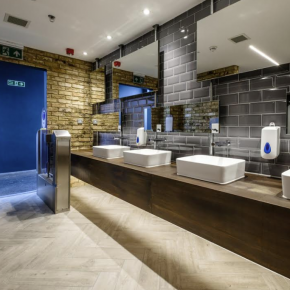 Washroom Washroom has delivered a complete turnkey washroom refurbishment for Camden Market, one of London’s largest and most diverse markets. 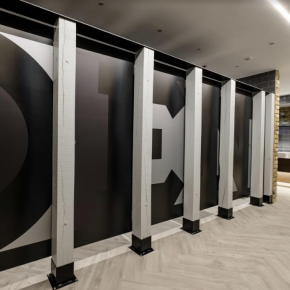 Washroom Washroom has encountered a 6% increase in its annual turnover, meaning last financial year was its 16th consecutive year of growth. 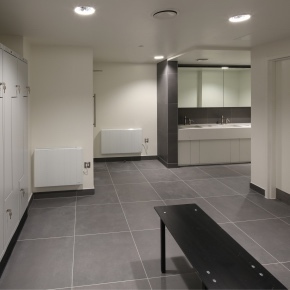 Washroom Washroom has provided a design solution for a high specification office washroom changing area using its off-site service. 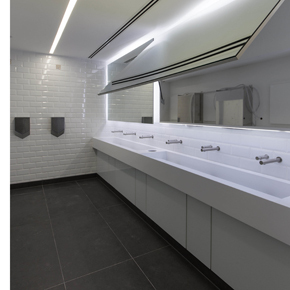 Leading commercial washroom manufacturer Washroom Washroom is displaying at the new Saneux London showroom. 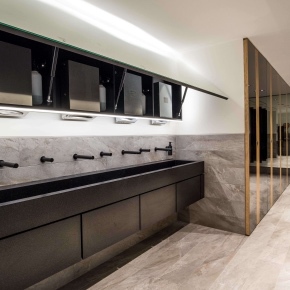 Washroom Washroom has been appointed by international construction services company, ISG, as one of just two Tier One washroom suppliers for the company in the UK. 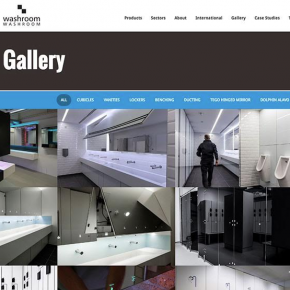 Washroom Washroom’s new online image gallery will showcase its latest projects, bespoke design capabilities and inspirational ideas for architects and specifiers. 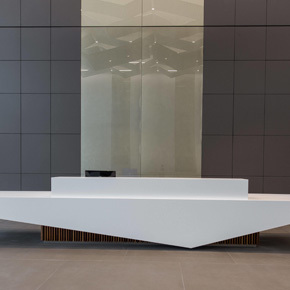 Washroom Washroom has created and fitted an impressive reception desk, plus new washrooms, for an award-winning office development. 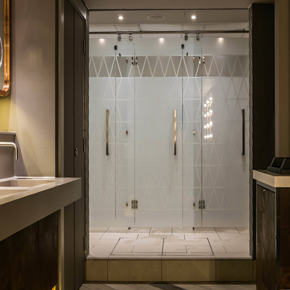 Washroom Washroom has secured three new high profile contracts, with two due to start in a matter of weeks and the third in 2018. 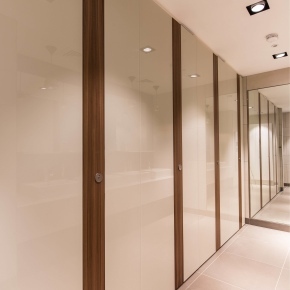 Washroom Washroom has recently completed the construction of a full sized mock-up washroom for a prestigious central London office refurbishment. 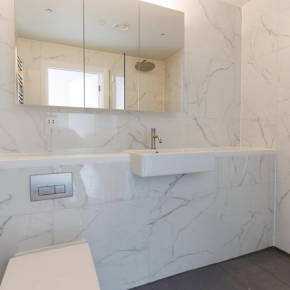 Washroom Washroom is soon to start work on two major new projects with ISG and BEH Interiors. 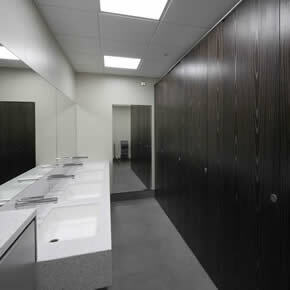 Washroom Washroom has recently completed the first phase of a large hospital refurbishment project. 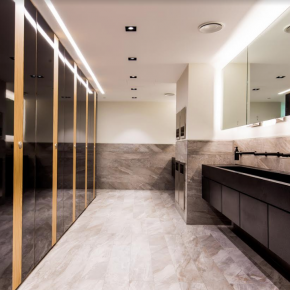 Leading commercial washroom manufacturer, Washroom Washroom, has created new washrooms which blend classic and contemporary style for a sophisticated office development in the heart of Mayfair. 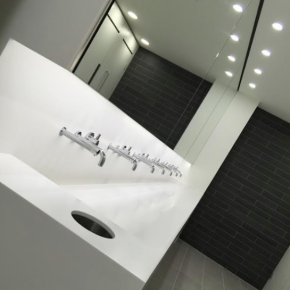 Washroom designer and manufacturer, Washroom Washroom, has delivered several unique high specification shower and changing room areas for offices and luxury gym facilities across London. 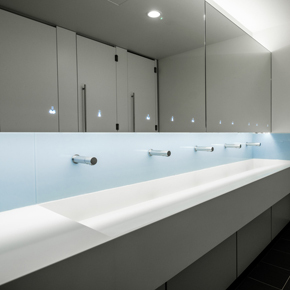 Washroom Washroom has committed to delivering commercial bathroom facilities with DDA compliant accessories. 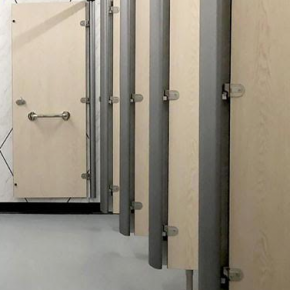 Washroom Washroom’s dedicated joinery division has recently experienced an increase in demand for its bespoke common area and washroom designs. 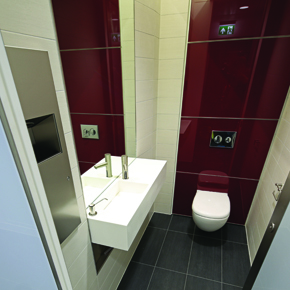 Washroom Washroom has installed new male and female washrooms as part of the refurbishment of an office in Slough. 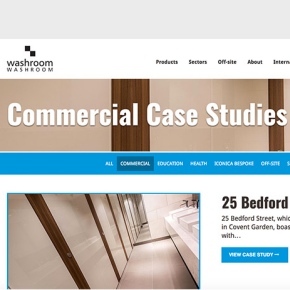 Washroom Washroom has refreshed its website, improving its design to enable architects, specifiers, contractors and clients to navigate around easily. 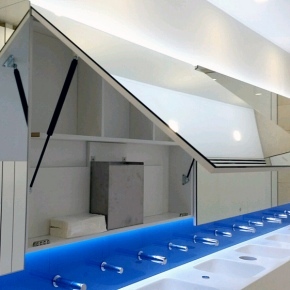 Washroom Washroom has created a series of creative washroom designs for a new office space and a London nightclub. 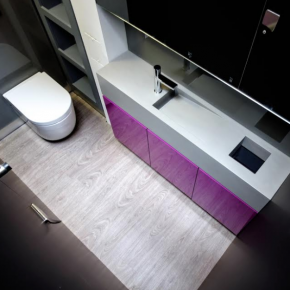 MBM, based in Doha, Qatar will at as an exclusive sales agent for Washroom Washroom until the end of December this year. 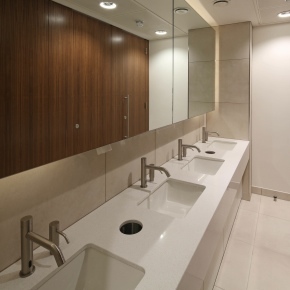 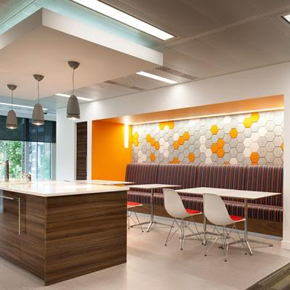 In this blog we look at some of the key trends which are shaping office washrooms of today. 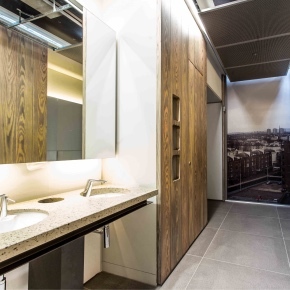 Washroom Washroom has recently secured three major new contracts for some of London’s newest office developments. 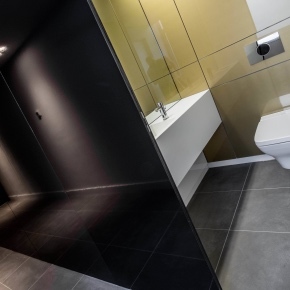 Washroom Washroom has contributed to the refurbishment of a Victorian office building, with the installation of disabled facilities and washrooms.